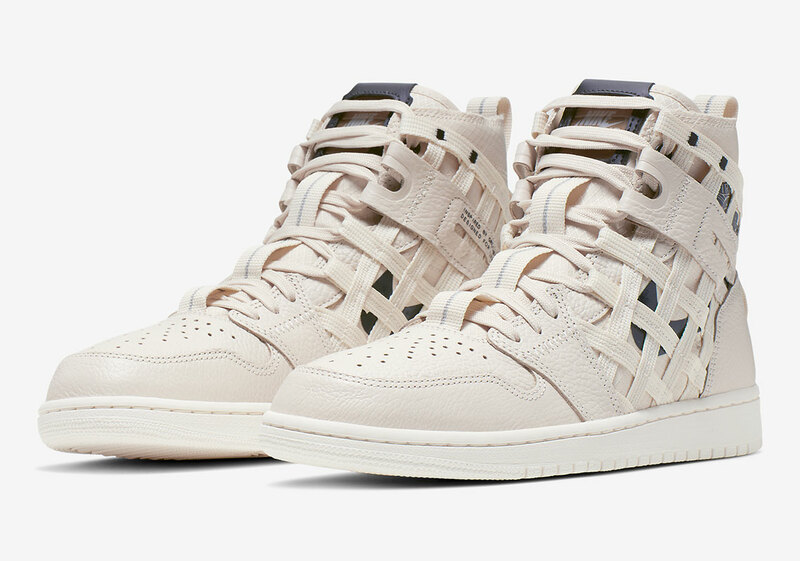 Over the past couple of years, Jordan Brand has been looking to add some innovative motifs to their most popular silhouette, the Air Jordan 1. 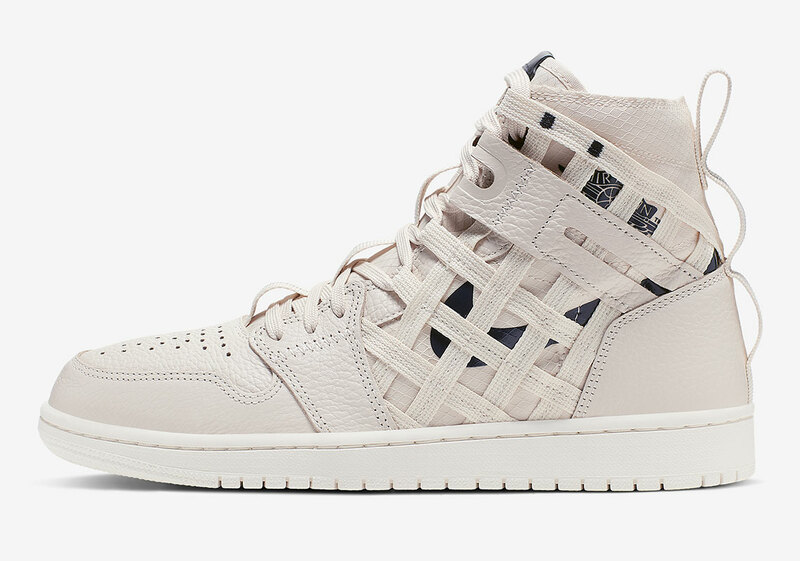 Most of these eclectic takes on the shoe have been exclusively for women, but now, it seems as though Jordan Brand is here with a unisex option for those who want to experiment with the look of the Jordan 1. 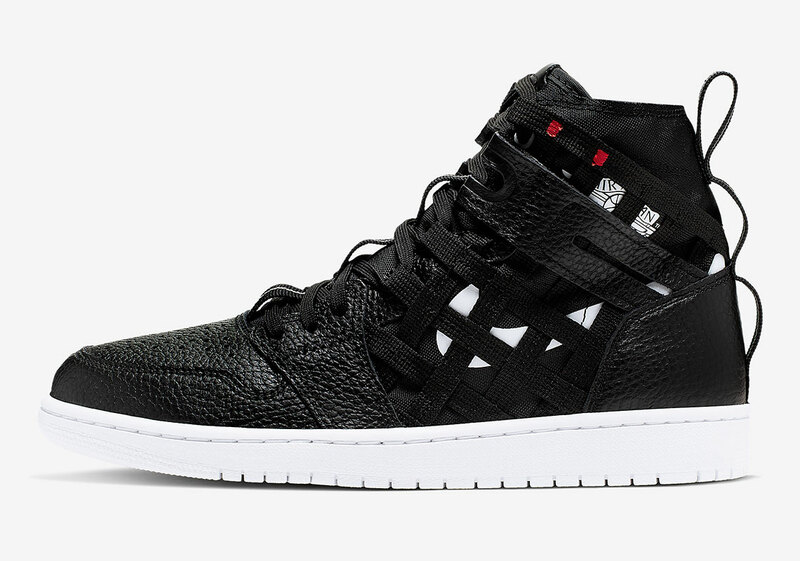 This latest model has the exact same shape and features as the normal Jordan 1, except this time around there is a layer of cargo webbing on the side panels. Thanks to the cargo aesthetic, these kicks look as though they have a bit of a military feel to them. Based on the latest images courtesy of Nike, it appears as though this shoe will be coming in two colorways to start. The first colorway comes in a simple all-over black with a white Nike swoosh and wings logo. Meanwhile, the second model has a sail upper with a navy blue swoosh and wings logo. As of right now, there are no release details on these sneakers although now that the official images are here, you can expect them within the coming months.